Richard Matt dead: Police reportedly shoot, kill one of two escaped prisoners believed to be fleeing to Canada. 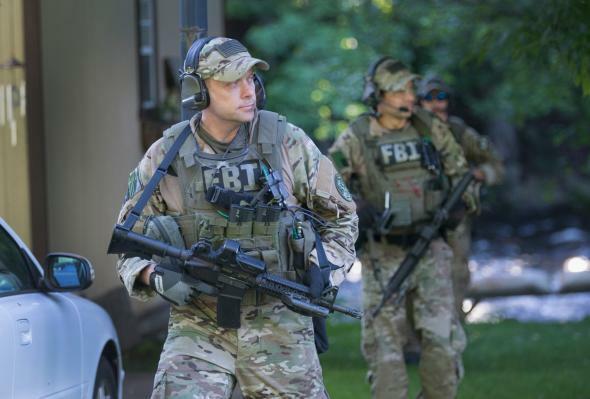 FBI agents help in the search for convicted murderers Richard Matt and David Sweat on June 24, 2015, in Whippleville, New York. The shots rang out as law enforcement officers zeroed in on Friday on an area of remote terrain in Franklin County, near where investigators discovered evidence in two hunting cabins that indicated the missing inmates had been there. It marked a violent turn in a sprawling manhunt that began in Dannemora, N.Y., a small village near the Canadian border, and soon spread to large swaths of the state after David Sweat and Richard W. Matt engineered a daring breakout from Clinton Correctional Facility. Matt and Sweat escaped from the maximum-security prison on June 6, prompting a massive manhunt that’s included several hundred officers and the recovery of one pair of prison underwear. Police appear to have killed Matt in a wooded area about 30 miles west of the facility. It’s unclear whether Sweat was with him. Authorities have said that they believe the two men were trying to make it to Canada.